The choice for beer drinkers has never been better as the number of UK breweries soars to over 1,700 – CAMRA warns storm clouds are gathering as global brewers attempt to stifle that choice, according to the CAMRA’s Good Beer Guide 2018. The latest Guide warns that consumers are being deliberately misled with many drinkers unaware that familiar brand names on pump clips are now owned by what Americans call Big Beer and may no longer be made to original recipes. AB Inbev, along with other Big Beer global brewers, are strategically targeting the independent brewing sector following the steady decline of mass market lager brands. The scene was set last year when the third largest corporate takeover in history saw AB InBev buy its rival SAB Miller for £71 billion, effectively taking control of 30 percent of the world’s beer production and sales. That same year the giant bought the Camden Town Brewery for £80 million and unveiled a brand-new plant for Camden in Enfield, with greatly increased capacity. AB InBev’s aim is simple – to turn Camden Town into the biggest brewery in London. Big Beer is not only trying to dominate the independent brewing sector, but is also fooling consumers into thinking they are still drinking “independent” or “craft” beer. Thanks to clever marketing tactics and few labelling restrictions, global brewers are still able to market these beers as locally produced even when they are no longer made by the original brewer. The Good Beer Guide warns that Big Beer is squeezing small and medium-sized brewers from the market. Not only can they sell beer at cut-throat prices thanks to low production costs and have access to eye-watering advertising and marketing budgets, but they are also attempting to monopolise the supply of raw materials to make beer. Global brewers can afford to buy up global malt and hops supplies at 40 per cent lower cost than even big and medium-size brewers, and have recently been condemned for seeking patents on materials such as barley and hops. Despite the fact that beer and brewing have been in the public domain for thousands of years during which time raw materials have been freely available to all brewers, Carlsberg and Heineken were recently granted patents that cover two varieties of barley, along with a third patent that will allow the two varieties to be used together. Roger Protz adds: “First Big Beer buys up a swathe of independent breweries. Now it’s attempting to control the natural ingredients used to make beer. The power of these global behemoths is frightening and has to be vigorously resisted. 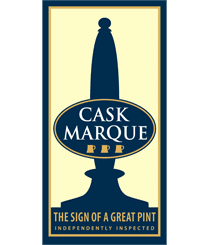 He concludes: “CAMRA was first founded to challenge the handful of national brewers that had phased out good cask beer in order to promote fizzy keg beer, the quality of which would be laughed to scorn today.